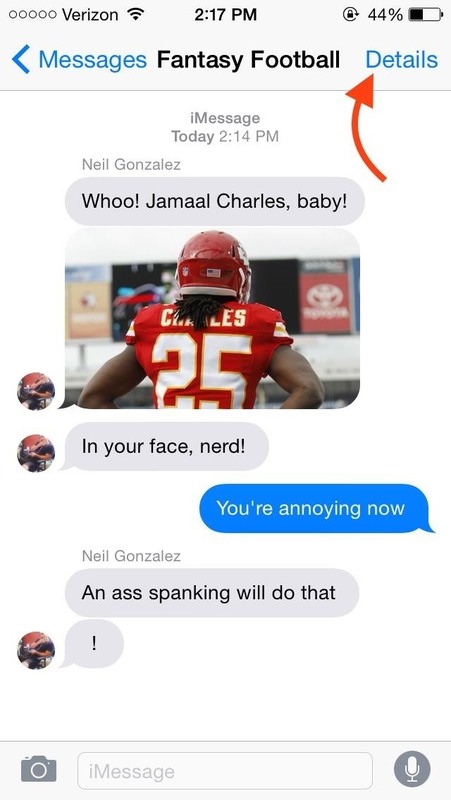 As hilarious and fun as group messages can be on your iPad or iPhone, they can also be equally annoying. You may not necessarily want to leave a group message thread, but you don't want to be bothered by notification after notification as participants in the conversation continue to send out rapid-fire texts. 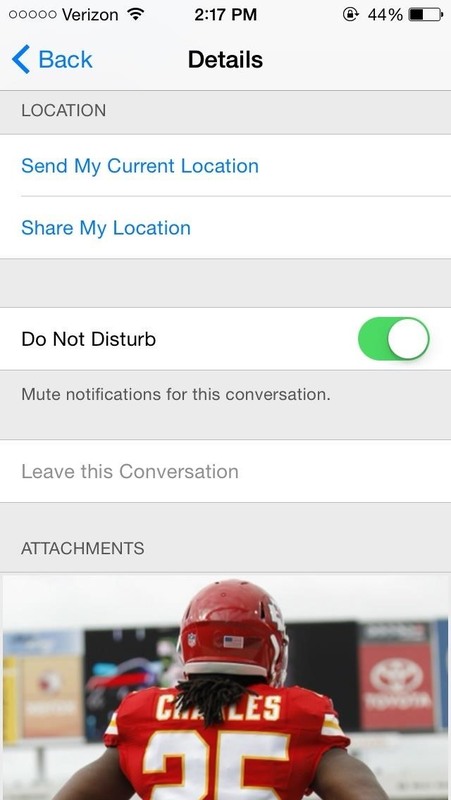 Thankfully, one of iOS 8's new features now makes it extremely easy to mute notifications from specified conversation threads, single or group. While in a conversation (group or individual), select Details, then simply toggle on Do Not Disturb to mute notifications from the conversation. Also, the muted individuals will have no clue what you've done. Once the conversation is muted, the thread will have a crescent moon symbol stamped on it to distinguish it as silenced. It's a handy feature that can prevent you from being harassed by notifications, especially if you're at work or in school. And remember, toggle it back on when you're ready to receive notifications again. Unfortunately you will still receive notifications with this enabled. Only the sound and vibrations disappear. Very disappointed in the way Apple has configured this one. Well, you can always disable the notifications yourself under notification settings on iOS, so this is for those people who want the notifications minus the annoying disturbances. Granted, you'd be disabling all messaging notifications. I guess we'll have to wait for iOS 10 or something.